It is replaced by the Datalogic Touch TD1100. 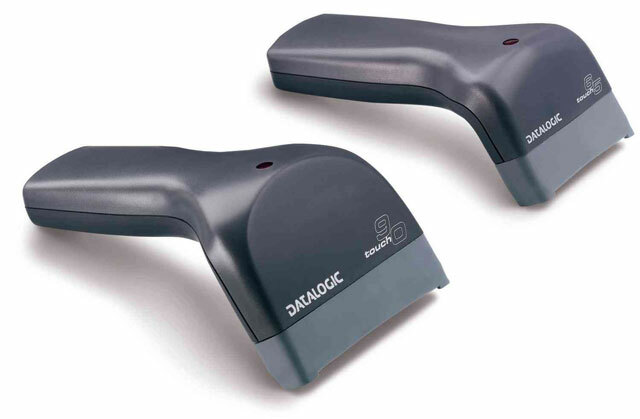 The Datalogic Touch contact reader is a cost-effective and high-performance scanner that features multiple interfaces. The Touch scans 256 times per second making it quick even when reading damaged codes. The Touch has a choice for every application: the Touch 65 features improved resolution while the Touch 90 features a wider scan area. Both use "Puzzle Solver" technology to combine and decode partial data from multiple scans, increasing the speed of successful results. The Pro EAS version features Electronic Article Surveillance (EAS) technology which allows scanning and EAS label deactivation in one step. 90 Pro Contact scanner. USB, RS-232, Keyboard wedge interfaces. Cable not included. See accessories. 90 Light CCD Contact Scanner with USB interface. Cable not included. See accessories. 90 Contact scanner. USB, RS-232, Keyboard wedge interfaces. Cable not included. See accessories. 65 Light CCD Contact Scanner with USB interface. Cable not included. See accessories. 65 Pro Contact scanner with Keyboard wedge Cable. 65 Pro EAS Contact scanner. USB, RS-232, Keyboard wedge interfaces. Cable not included. See accessories. 65 Pro Contact scanner. USB, RS-232, Keyboard wedge interfaces. Cable not included. See accessories. Light CCD Contact Scanner with Keyboard wedge interface. Cable not included. See accessories. Light CCD Contact Scanner with RS-232 interfaces. Cable not included. See accessories. 65 Contact scanner. USB, RS-232, Keyboard wedge interfaces. Cable not included. See accessories.